What’s It Like to Operate a Tower Crane? We’ve all seen those incredibly tall tower cranes at building construction jobs, especially in downtown neighborhoods of large metropolitan areas. But what’s it like to sit in the cab and operate one of those cranes? How does a person get up there, and are there factors that influence what the crane can and cannot do during the average workday? Simon Rios of WBUR radio in Boston, Massachusetts recently joined Brett St. Germain, a tower crane operator whose been on the job for over 40 years and responsible for work on many buildings in the Boston area. From a position at over 800 feet above the streets below, Mr. St. Germain has been lifting materials during the construction of One Dalton for two-and-a-half years. 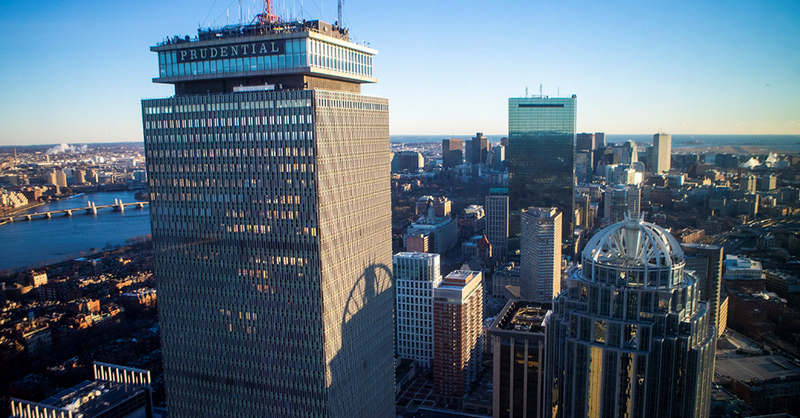 One Dalton ­is a new luxury development, and at 61 stories the third tallest building in Boston. Though this tower crane is attached to the side of the building, the cab is over 100 feet above the top floor. Rios and photographer Jesse Costa experience firsthand the daily climb and descent of what, to St. Germain, is all in a day’s work. Click here to read the story at WBUR’s website. Image above courtesy of Jesse Costa.